Our Private Dining Room can accommodate up to 10 guests for a special celebration, business dinner or a gathering of friends. Our dedicated staff will ensure you and your guests have an extraordinary evening. We are pleased to open the restaurant for private lunches accommodating 10 to 65 guests. Gary Danko is a taste of a fancier, older San Francisco you're probably not used to. Fortunately, it's a very delicious taste. My favorite place to eat in the world. You must have the cheese coarse. Had reservations for 8:30pm and showed up at 8:20, but table wasn’t ready until almost 8:45. Besides this everything was absolutely amazing. The staff all knew what we were celebrating and congratulated us at every opportunity. The food was great as always and man were the cocktails stiff. One craft negroni and a craft Manhattan later I was feeling it the rest of the night...hit me harder than 3-4 amfs at a club. Great experience, special occasion restaurant, doesn’t get any better! Everything was perfect. I especially loved the fact that I can pick ANY item off the menu for my 5 course dinner. As always, a splendid evening. 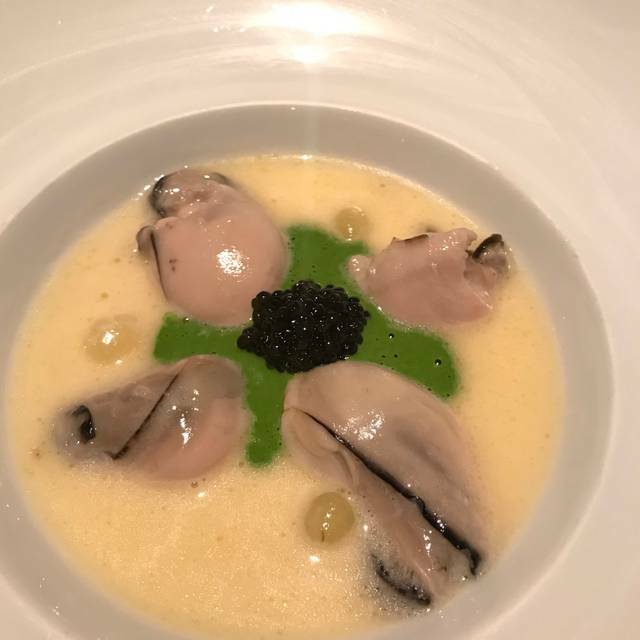 We had been planning a trip to Gary Danko for several months, and finally made a reservation. This was my second visit and the first for my wife. Given the reputation of the restaurant, we both went in with high expectations. The ambiance is warm and inviting and has an intimate feel; perfect for a romantic meal or any special occasion. The staff is as professional and friendly as one would expect for a restaurant of this caliber. We were warmly greeted and promptly seated at our table. We are pescatarians, and an appropriate chef selection was included in our menu which was a very nice touch. We both felt that our primary waiter came on a bit strong and his attempt at humor fell flat on us. We both opted for the wine pairing, and the sommelier made selections that were well matched to each of our dishes. I was not enjoying the selection that was paired with my salmon dish, and when I commented to the sommelier, he promptly offered a replacement. We both had a crab salad that was very good with generous portions of fresh dungeness crab. I had a horseradish crusted salmon that was good, but not exceptional. My wife ordered an artichoke soup that was probably the best dish of the evening. 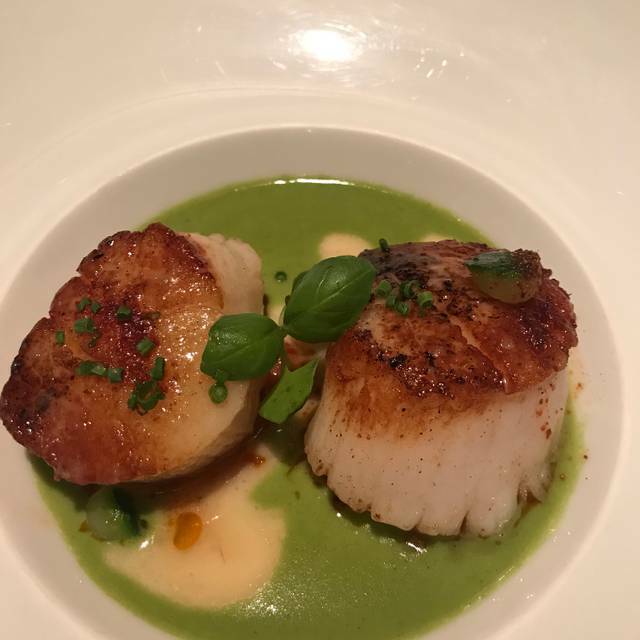 We also both had scallops that were cooked perfectly and were very flavorful. All of the dishes were very good, but the artichoke soup is the only dish that stood out. Our overall experience was good, but i think that my wife enjoyed it more being her first visit. Amazing experience! Went there for my girlfriend's birthday, and was very happy with the whole night. This was our first time visit. We were celebrating our 30th Anniversary. on 31 March. Our reservation was for 6:00 P.M. we arrived about 5:40. The Maitre de took my wife's coat, seated us in a side room of the restaurant, and took our drink order. I knew right away we were being seated in the "Peanut Gallery". The service was very prompt, perfunctory, and with feigned congeniality. My Manhattan and my wife's Martini were both served promptly. About half way through our drinks, our waiter Dennis came to take our food and wine order. The appetizers were served almost immediately after we ordered. The Ahi & Risotto were both delicious. Our main courses were served shorty after we finished our appetizers. The Pork Tender Loin and Scallops entrees along with two wine selections were both very good. However, as soon as we finished the main course, our desserts were served along with Port Wine. Bottom line, we were rushed through our dinner. We were on our way by 7:00 P.M. By the time we could enjoy anything we were served another course. It was apparent that the regulars or "Glitterati" receive the best tables and service. We have dined at the French Laundry, Chez Pannis, Boulevard, and many other fine restaurants all over the world. This was not a fun dining experience this was a race by the staff to turn the table over. Live and learn a $500 tab doesn't necessarily bring you a good meal at Gary Danko's. I see the other reviews and note that everyone is raving. So maybe during the week is a better time to dine there but not on a Saturday night in San Francisco. Amazingly attentive service- not stuffy but great for a special bday. We were with teens with nut allergies and they went above and beyond even bringing them special nut free treats at end of the meal. We have eaten at many nice restaurants but the service here was second to none! 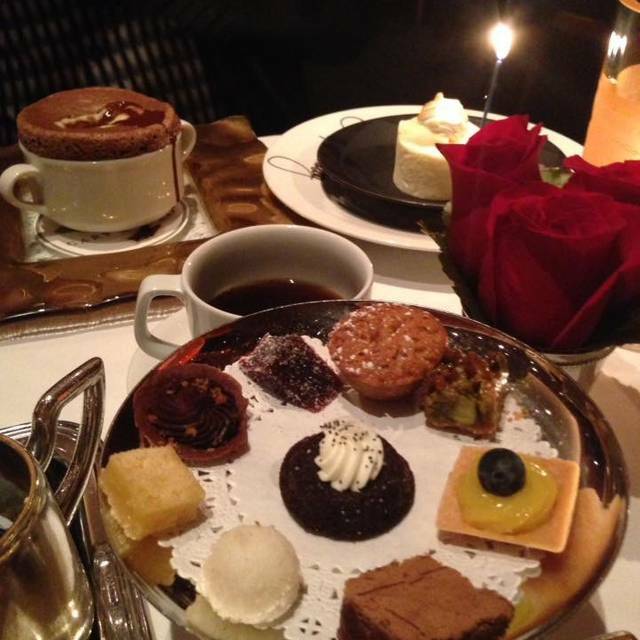 I treated my husband to his birthday celebration at Gary Danko. We each chose the four course option. The food was delicious but we were disappointed with the service and overall experience. I do not drink and my husband just wanted a glass of wine. When the sommelier realized we were only ordering one glass of wine his manner changed and he said “Oh, okay...” like we needn’t be bothered with. We saw how the tables around us who ordered add-on items and multiples bottles of wine were treated with more attention from the staff. Multiple servers were at those tables for their every request while I had to ask for a steak knife for my lamb. It was disheartening to realize the experience would have been different had we ordered more. 40th anniversary dinner. Outstanding meal selections and wine list. 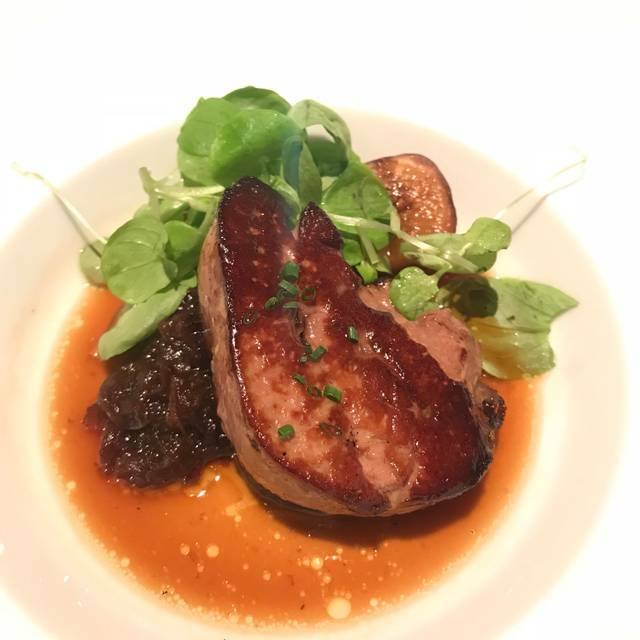 The savory duck breast was as finely prepared and tasty as any I have had. The sommelier recommendation was spot on. We especially enjoyed the initial palate pleaser asparagus in broth. We were celebrating multiple birthdays in our family and this was the perfect spot to do so. The dinner was outstanding and the service was even better! We will definitely be back on our next trip to SF. Gary Danko teaches the restaurant industry how to do it nearly perfectly. The tastiest, most inventive cuisine, not fewer than six servers and assistants touching your table during the meal. A remarkable wine list; If you can find a table reservation, do it. Great experience overall and perfect way to treat ourselves during our weekend getaway. Kind staff and prompt service. Started with the most delicious bite of clam chowder. The ahi tuna starter, lamb and beef filet were the highlight of the night. Dessert was delicious as well. Gary Danko was honestly one of the most amazing experience my husband and I have ever shared. From the moment we walked in the door we were treated like royalty. We were served by many amazing staff members, each making us feel so special. Chef sent out a taste of clam chowder while we decided our menus and we were treated with extra desserts and banana cakes to take with us. The food was DIVINE!!! We loved every single course. We tried to eat slow as to make the experience last linger but the food was so delicious, it was really hard! Seriously worth EVERY penny! After going once, we will be saving up so we can do it again and again! The #1 reason we will visit San Fransisco again. Best restaurant in San Francisco. 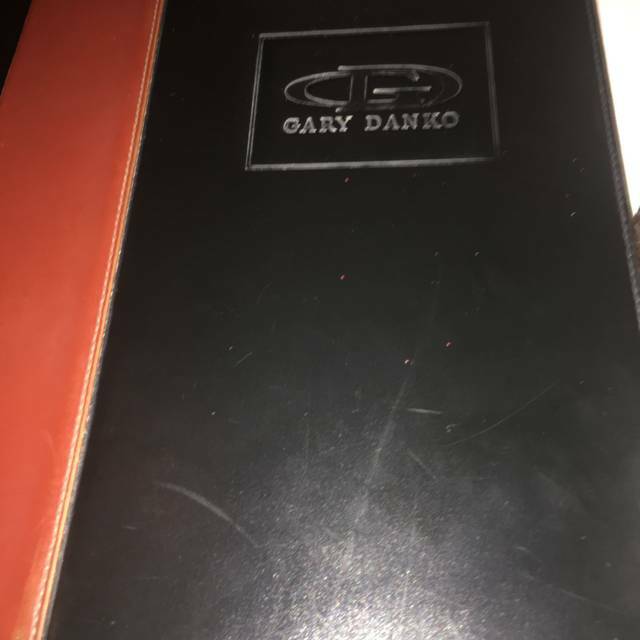 This is our third or fourth time at Gary Danko—we took friends who have never been there before. The food was phenomenal—every small morsel was accented to perfection, both in terms of flavor and in terms of presentation. We had the salmon with crusted horseradish—a favorite; one of our friends had the scallops, which were perfectly cooked. Three of us had the beef fillets, while one of us had the branzini. The branzini skin was crisped and the sauce accompanying it was flavorful, while the blended fennel hit just the right note. But the filet! It was like the best piece of salty candy or candies salt you’ve ever had. Tender but cooked well, and served with potatoes that melted with the crisped potatoes, any of us would order it again and again. The cheese course had a bazillion choices—and you get to choose four. I chose a combination of cow and sheep’s milk, and large portions of each were served with thin slices of delicious raisin bread and grapes. For dessert: chocolate soufflé with two sauces—one creme anglaise and one bittersweet chocolate, with both melting into the crunchy and smooth beauty of the souffles. And at the end, they give you a tiny plate of cookies and a muffin to take home for breakfast! This is a special occasion restaurant that I wish we could visit every month. I went two days in a row. Make sure you get Andrew as the captain. True pro. Réservation faite pour un anniversaire. Personnel accueillant et souriant. Les plats sont bons. Une petite déception pour les desserts. Je recommande ce restaurant. 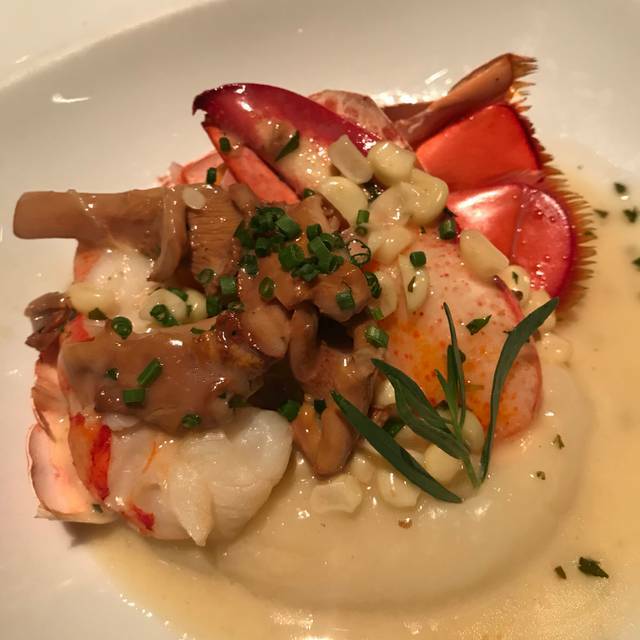 Gary Danko) loved the entire experience. They look forward to coming back (as well as us)! From start to finish it was truly amazing! Thank you for making my boyfriends birthday such an amazing experience. The staff was very knowledgeable and welcoming. We can’t wait to come back for more! Great meal: risotto, lobster and quail dishes cone highly recommended and the table side flambé is spectacular. Wonderful birthday dinner! The staff was so attentive, the ambience was intimate and quiet. I love the 3 different options for tasting menu and the vast selection of food & wine to choose from. Delicious food and beautiful presentation. 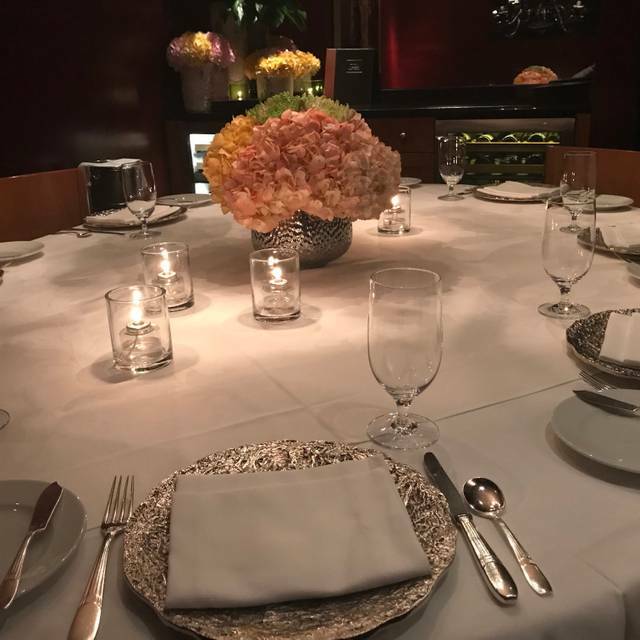 My boyfriend and I went to Gary Danko for our birthday and we had an amazing dinner. The waiter made us feel very comfortable and appreciated. We received complimentary soup starter and also birthday passion fruit cake. It was an outstanding experience! Exceptional. Susanne went overboard in entertaining us. We loved the whole experience. It was our daughter’s birthday and they did everything to make it a memorable day. Food was probably the best I’ve ever had. Waiter and sommelier were excellent. Very expensive, but superlative quality. Food is always good. Service is excellent. Food is amazing and the service takes this place to another level. Such a special place and memorable experience. We will definitely be back...when we can get a reso! We ordered off vegetarian menu, also had asked for no dairy. What a disappointment with a no imagination or flavor bland quinoa with 3 broccoli florets on the plate. The most underwhelming meal in 10 years of being vegetarian especially considering we’re in CA. And the most ridiculous pricing of $45. Very disappointing! Great service! All the servers were attentive! The food was amazingly good and so worth the 3 months wait! Would definitely come back again! Most of the staff were gracious and helpful, but the service from the somm was substandard. I have never interacted with a more arrogant or snobby somm in SF. When I attempted to share feedback to the manager, he was defensive, dismissive, and did not seem to care to hear my feedback. We will not go back to GD or recommend it to any of our friends. Classy. Not help your seat to the table and place your napkin in your lap, but fairly elegant. Higher money gets you they nicer room. It was just 2 of us, we were lucky to be sat at a table for 4. It makes a difference depending on how many courses you order. Table bread wasn’t warm, and cold unsweetened/unsalted butter wasn’t the easiest time to spread, but the bread was a decent wheat version of freshly sliced baguette, soft middle with crunchy crust. The sommelier knew his wines, could take you on an adventure during tastings. Unfortunately, pairing with entrees was more difficult due to the variation of flavors available, and getting both a red and white to cover all the possibilities was tough, for our palettes. 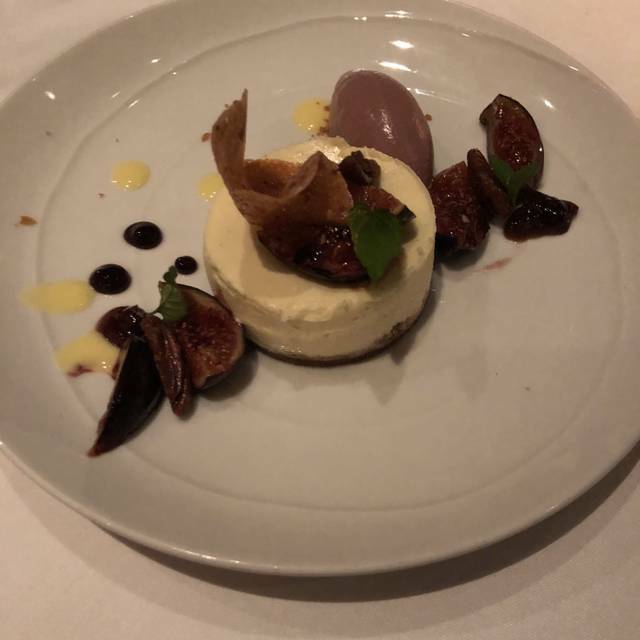 Staff was friendly and helpful, not overbearing or belittling in any way, attentive to quickly remove dishes and replace silverware each course. The courses, approach with an open mind at times but hold your standards. The lobster with potato purée was good if you avoid the bold blood orange and added a touch of lemon juice. I’ve never had scallops not flipped and served the correct temperature, with the done side a crispy buttered “end” that would over power the soft scallop if not parsed into diced portions. Watch the risotto, while sauced correctly, my serving was rice half uncooked the first go. We enjoyed selecting 4 types from the cheese tray before entrees arrived. She was less impressed with her cooler than medium salmon, which could have had the skin pan crisped in butter like my scallops. 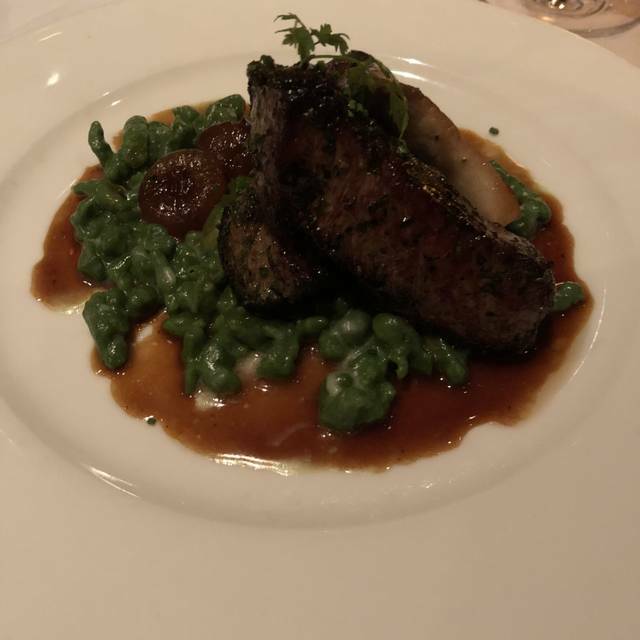 The pork tenderloin was a good experience we both agreed needs to stay on the menu through the year, savory and sweet and satisfying texture of being served the perfect temperature. I felt the lemon pepper duck was closer to a comfort food flavor, medallions soft and bits of thick maple bacon accompanying the duck and hash, another great mix. If you want to wow a date with feeling exclusive, this is a good choice. True foodies are left wanting.